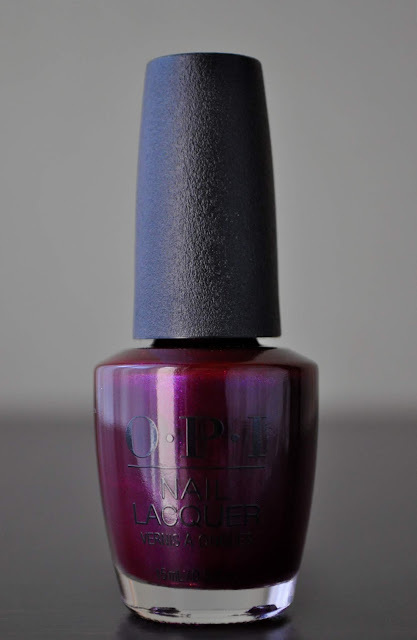 Another polish from the O.P.I Lisbon Collection (and, an Ulta exclusive), "And The Raven Cried Give Me More" is an shade I was reserving for Autumn. However, I could no longer resist its dazzling purple radiance any longer. 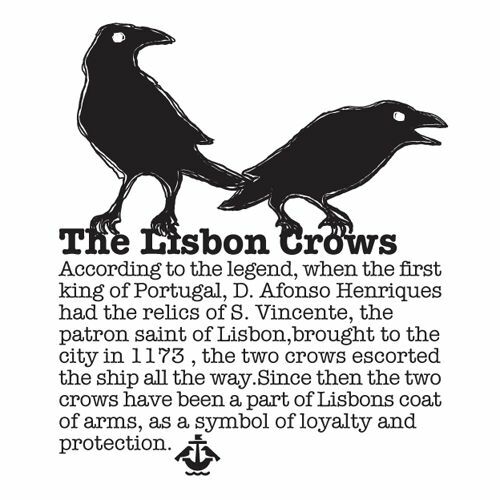 Unlike the other polish names, and shades, from the Lisbon collection, And The Raven Cried Give Me More evokes more Edgar Allan Poe than Portugal. After some online searching, I found this fun fact of the image above. Pictures do not do this polish justice. None of the images were able to capture the brilliance of And The Raven Cried Give Me More; you must see it in person. And The Raven Cried Give Me More is a deep, rich, magenta-red based plum-purple with violet, purple, red and blue shimmer. 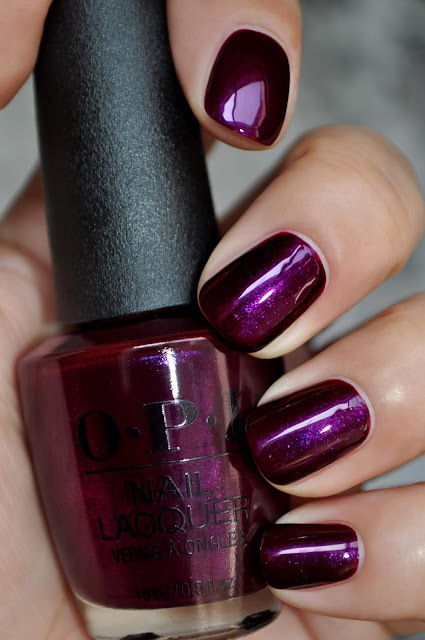 The base and shimmer in this polish give it a gorgeous, and lustrous, vivacity. And The Raven Cried Give Me More has a sleek jelly formula. The first coat gave my nails an unblemished bold, translucent wash of color, and absolute pigmentation was achieved on the second. But, the third coat captured the ravishing depth seen in the bottle. I've been wearing And The Raven Cried Give Me More for five days, and the only wear I have is a tiny chip on my left index finger. I love this shade! Do you have Ulta's in Greece?